Travis Allen has played a huge role in my music over the years. He was the main instrumentalist on my album Bed of Seeds, and he’s been the DJ for many Height With Friends tours. While he’s currently on hiatus from the music game, he has remained my benevolent guide through the realms of music theory, guitar maintenance and more. Travis and I are old pals, and I can listen to him talk about anything. I was glad to get his unique disposition down to tape. We talked about heavy things like losing a parent at an early age, and goofy things like a Halloween party where every kid showed up in the same ninja outfit. He made sure to represent far-Western Maryland to the fullest. 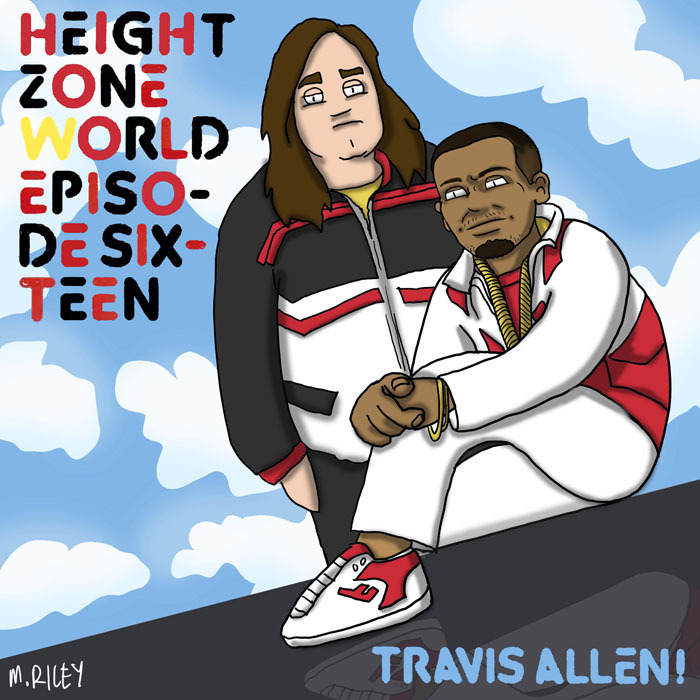 This week, Mike Riley hooked us up with an homage to Oh My God!, by Doug E Fresh. As always, this was recorded at The Lineup Room.